Golfers, especially professionals, have a certain reputation. In fact they have a twofold reputation – as big sharks with loads of money, and as womanizers. Whether either of these is deserved or not is not the issue here. Instead, we’ll try to deal with the fact that there are women who have a very precise agenda, and that is to date golfers for the sake of their money and fortune. Let’s be honest. Some pro golfers make some pretty great cash. In addition to prizes on tournaments, there are also endorsements and similar arrangements. There is definitely money in pro golf. Even amateur golfers and those who play golf only recreationally usually belong to the upper social classes, at least upper middle class, which means they are not exactly poor. And, where there’s money, there are gold diggers. So, when it comes to golfer dating, how do you protect yourself from golf diggers? Is it possible to find someone really great and honest through online dating? How do you tell whether someone likes you for you, not for your money? Here are a few tips. This is a good advice in general, not just for avoiding gold diggers. It’s always wise to really get to know someone before you start dating seriously, because it can protect you from a world of harm. When you are friends first, everything is more casual, relaxed and laid back, and there is a better chance the other person will open up and show his or her true self. People often pretend to be something they are not, and gold diggers will certainly pretend to be honest with their feelings about you. But if you give it some time first, you’ll have a much better chance of seeing through their lies. Say you go on a date with someone you just met through an online dating website, and it’s your first date, so you two don’t know much about each other. If within the first half an hour your date asks questions like “Does your job pay well?” “How much do you make per year?” “What kind of car do you drive?” “Do you come from a rich family” and other typical questions, you better say your good-byes right away. Gold diggers are usually incredibly self-absorbed, and they are also cheap. So, the chances of a gold digger offering to pay for dinner or buying you a nice gift with no special occasion are pretty slim. Gold diggers want to receive gifts, not give them. They want to eat for free, not to pay for dinners. They don’t see anything beyond your financial status and therefore cannot appreciate you for who you really are, and you will sense this pretty soon. Most gold diggers are absolutely convinced they’re destined for greater things and that the world owes them something. They feel they are better than the rest, and act accordingly. They exaggerate the importance of their achievements and qualities and they are obsessed with success, wealth and fame. They are often quite openly envious of others, especially rich and famous people. Finally, they do not have a strong sense of empathy and are unable to identify or recognize your needs and feelings. Oftentimes, a gold digger will complain about his or her financial situation and may even ask for a loan. Of course, in many cases this is a legitimate complaint and the problems are real, but even if that is the case, it’s still not something most honest people would discuss during the initial phase of the relationship. If the suspected gold digger asks for assistance or even a loan, try suggesting other ways to solve the problem, like selling their car or another expensive piece of property, getting a second job (or any job – gold diggers rarely actually work) and such. A gold digger will be appalled at such as suggestion, since these “painful” solutions are no solutions at all. All they want is a quick solution at someone else’s expense. As you will discover in this Love Golfer review, this golf dating site is the perfect place for romantic, single golfers looking for love to meet interesting people and find romance. Golf Dating Service can give all single golfers an opportunity to meet like-minded people and find the perfect match. With this excellent dating site, meeting golfers is like a walk in the park. 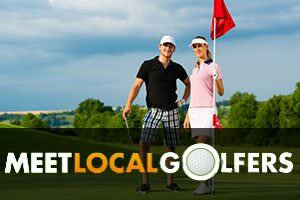 If you’re a passionate golfer looking for a golfer soulmate, Meet Local Golfers is the perfect place for you. This terrific site will help you meet a lot of single people who share your love for golf.